What attributes make a good locksmith shop? Does availability count? How about affordability? Where does good service come into the picture? Here at Boyd Locksmith & Safe, we offer all three of those, and lots more! Our prices are very affordable but what really counts is what you get for your money! We offer high quality locksmith care for home, business, auto and emergency needs. Our friendly technicians use the finest lock hardware from trusted national brands like Master, Kwikset, Baldwin, InstaKey, Primus, BiLock, Schlage, Medeco and many others of similar high quality. Do you need a small locksmith task done, like key cutting or a deadbolt installed? We are happy to do those. Maybe you have a more advanced job for us to tackle like high security lock installation or a master key conversion. 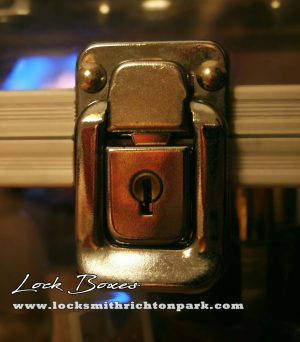 Our experienced Richton Park locksmiths are happy to accommodate you. If your locksmith needs are more advanced like transponder key programming or biometric entry systems, we’ve got you covered here, as well. Our technicians offer hundreds of residential, commercial, automotive and emergency locksmith services; so many that we can’t list them all here. Suffice it to say that whatever service or hardware product you need or want is available to you; plain and simple! Just call us and let our Boyd Locksmith & Safe crew know what you need or are interested in. We’ll treat you to a free consultation as well as to no cost price quotes so that you know exactly what to expect!